Could this become the second-fastest selling album of all time? 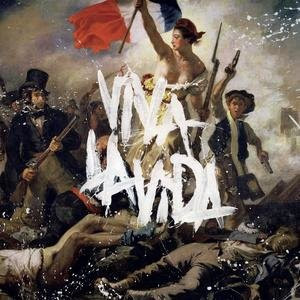 That’s what some within the British music industry are predicting, as Coldplay stares down the barrel of a massive UK number one chart debut, following only three days of the new album “Viva La Vida” being available in stores. The album, in Australian stores today, sold in excess of 125,000 copies in it’s first day on sale in Britain, where retailers believe that if the sales trend continues, Coldplay will have a UK platinum record on their hands by today and could easily top the half million mark by week’s end. That figure dwarfs what they would need for an ARIA number one debut – with Chris and the boys only needing to sell 10,000 albums to clinch the top spot Down Under. Expect them to hit No.1 here next Sunday (June 22) with a gold, possibly platinum sales accreditation following their first week sales. It’s also topping sales charts in Japan and is the most ordered album at Amazon in the US, where it’s strangely not released until Tuesday. Meanwhile, the band’s world tour, due to kick off on June 29 in Philadelphia, has been postponed for two weeks due to ‘production delays’. It will now begin in Los Angeles on July 14 before moving through the US, Japan, Europe, back to the US and then onto the UK. No word yet on Australian dates.